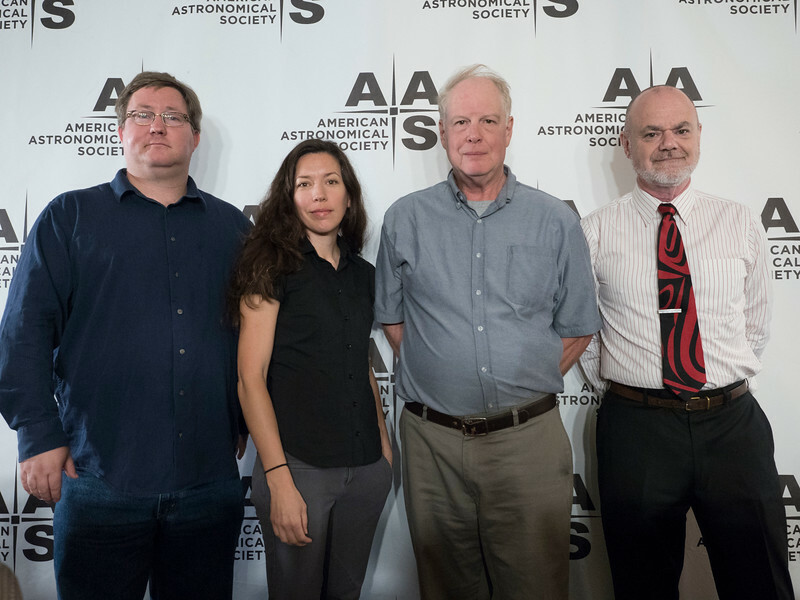 Austin, TX - AAS 2017 - Richard O'Shaughnessy, Stephanie Juneau, Chris Shrader and Ethan T. Vishniac during the Monday AM Press Conference at the American Astronomical Society's 230th meeting at the JW Marriott hotel in Austin, Texas, Monday June 5, 2017. The AAS, established in 1899 and based in Washington, DC, is the major organization of professional astronomers in North America. More than 500 astronomers, educators, industry representatives, and journalists are spending the week in Austin to discuss the latest findings from across the universe. Photo by Phil McCarten, © 2017 American Astronomical Society.